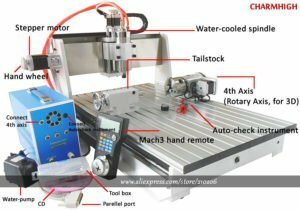 I have a China CNC router 3040TZ – and was reasonably satisfied. My problem: Machine “wears out” – the latest effect axial play x-axis. A repair seems questionable, too expensive, hopeless and then the other “small” defects. Can’t find prices of your machines, could be interesting. Need the milling machines almost exclusively for the production of stamps. I think the “smallest” router would do. Operation should be -as before- via control at the par-Port. CNC routers from China are called 3040T, 6040, HY 3040 or 3040z + 52. Everywhere on platforms such as ChinaCNCzone, E-Bay and Co. praised – Often however completely unusable. But as a user, of course, this knowlege is only achieved after a few minutes or hours of commissioning. It is impossible to recognize existing production defects before buying. At least as a loan or novice, who just wants to sniff into the CNC technology or to get a CNC kit for the entry. But even as a professional the actual production deficiencies and the often sluggish to inadequate processing are only recognizable after the first apparent inspection. This is why CNC users have always experienced extreme problems with portal milling machines from the Far East. Despite several statements and warnings in blogs and forum entries on the Internet. One can not warn enough of this low-cost stream from CHINA. The clocks simply tick differently in China. You do not necessarily have clairvoyant abilities to assess why this mass production can not be of high quality. With a daily wage of 70 cents to a dollar for all unskilled workers, one can hardly expect a qualified final assembly. In addition, the cheapest parts are used. Here the ball bushing for the size 12 linear guide costs just 20 dollar cents. Some of the biggest problems are the lack of dimensional accuracy of the mechanical components (but the decisive factor for proper milling results). As a result, you can read in blogs again and again that they have linear guides, some 0.1mm undersize to the sockets. This is not even easy to solve with technical knowledge. Also interesting are some threaded holes. These are often done with blunt tools, so you can not really screw out the screw once it has been screwed in. In addition, almost all threads are cut obliquely, and the shavings of the thread cutting are still present in the drill holes. Some screws hold only just as the bores are drilled too much and the thread has no depth on the flanks. Results of the workings of totally unskilled workers. Partially, these milling machines are assembled by children! This is done in countless professions and industries in the Far East and is not unsusual. So please do not support this crime! It is enough already, that today one or the other piece of clothing is purchased, without knowing that it has possibly been made by a child. We ourselves have already taken the path several times and have imported HF spindles or whole CNC machines from China directly to check the quality and to find out whether China really represents a serious country of CNC milling machines. And I am relaxed today, we can sit back for a long time confidently. For all who want to work qualitatively, our advice – HANDS OFF from the purchase of a fixed and finished China CNC machine! Our experience with China milling machines is as follows: After we received ungrounded spotlights, HF spindles and other electrical and electronic articles (CNC control, lamps, etc. ), one thing is already certain: whoever loves his life, hands off these articles. Such a machine is NOT ONLY DANGEROUS FOR LIFE, BUT ALSO FULLY UNUSABLE. At the latest with this entry in a blog article, the CNC machine fan should feel warned. There is no potential equalization on the CNC control. For all who need information on potential equalization. 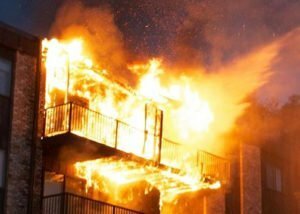 If the entire workshop is ignited in a fire, the insurance does not pay because these CNC machines can not be operated in the EU! 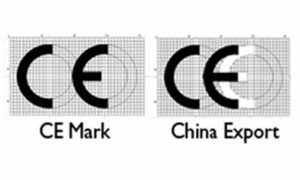 Furthermore the CE symbol is not used according to the European standard. For this, it is often even completely wrongly printed (distances of the letters do not fit). We even received directly from China a suitable answer from a manufacturer. He made clear that the symbol is supposed to be a China Export mark on all articles of the company! And this is common in China! If you like to tinker and spend a lot of time on improvising the CNC machine, such a machine from China could be the answer . You should, however, have a well-founded electrical and electronics knowledge to be able to solve the greatest security deficiencies at all. But one thing must be clear. It remains a junk box! 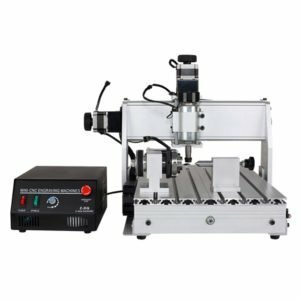 Probably you pay more for a China machine than for a tested, stable and precise CNC milling machine that is able to cut steel – this is up to you. We can only express some advice. This is very clear: HANDS OFF low-cost China Import machines! Buy from a reputable CNC machine manufacturer all over Germany but not in China.